Visit Bellevue serves as Bellevue, Washington’s official Destination Marketing and Management Organization (DMMO). Our mission is to stimulate economic growth and development by increasing visitor and convention business and inspiring memorable visitor experiences. There are many exciting changes coming to our organization this year; below are the seven main things to know about Visit Bellevue in 2019. Visit Bellevue has compiled a strategic road map to achieve our vision of growing Bellevue, Washington’s visitor economy into a $2 billion industry by the end of 2020. To do so, we must understand our strategic priories, target audience(s), stake holder needs and key performance indicators. Our guiding strategic priorities consist of attracting visitors to Bellevue, maximizing visitor spending, branding Bellevue, enhancing the Bellevue visitor experience and managing the destination development plan. Our target audience includes visitors, conventions, meeting and event planners and residents. Ultimately, adhering to these priorities will ensure we stay on target with our goals and objectives. Visit Bellevue’s brand is transforming; we will completely alter our brand, image, logo and more to best fit our city’s personality. During the first 6 months of 2019 we will define Bellevue’s brand essence, position strategy and long-term marketing plan that inspires and raises the visibility of Bellevue as a visitor destination. We are developing and fully understanding our city’s characteristics, visitors’ profile and market prospects to grow and diversify visitors to Bellevue. To help us with this process, we hired a new agency, Cubic Creative, who plan on fully immersing themselves into our city to best shape our new brand. We hope to announce our new brand during Q3. To best develop the city’s brand platform and strategy, Visit Bellevue’s team has expanded and will continue to expand. On February 4th, Justin Lynch started as our new Director of Marketing and Communications, and our new Communications Manager, Alexis Scheinman, started on January 28th. We also intend on hiring a Director of Visitor Experience as well as a Partnership Manager – both toward the end of Q1. In addition, we have promoted existing team members Justin Yi, to Marketing Manager, and Kristina Lucas, to Event Services Manager. Another big change with Visit Bellevue in 2019 is the creation and unveiling of our new website. Visit Bellevue will launch a new, responsive and modern website, along with new digital marketing and communication tools, in the middle of this year. This will enable us to target and attract new visitors to Bellevue with a more enticing online presence. Additionally, we will implement new Customer Relationship Management (CRM) and Partner Extranet systems. Increasing the number of visitors to Bellevue produces direct economic benefit to the community through visitor spending and taxes generated by spending. In 2018, Visit Bellevue’s Visitor Impact Model estimated that 2.1 million visitors spent around $875 million, which accounted for 1.7 billion in overall economic impact, and supported 12,000+ jobs in Bellevue. To better connect these leisure travelers, meeting planners and attendees, tourists and visitors of all kinds with our local and regional businesses and organizations, Visit Bellevue Washington will introduce a new Partnership Program in the middle of 2019. The new program will encourage partnership development and engagement that will maximize investment and package Bellevue as a “best-in-class” destination experience. There will be four different “partner levels” for our businesses and organizations to choose from: Basic Level (Complimentary), Marketing Level, Group Level, and Corporate Level. The program also offers partners the choice of a variety of à la carte options. In 2019, our sales team, comprised of Jane Kantor, Chris Dunham and Stephanie Steele, will highlight several new programs and business development strategies including sales calls, events and 3 in-market sales missions. At various points during the year, our Visit Bellevue Convention Sales Team will travel to 3 different locations (Washington, D.C., Chicago and Dallas), and will introduce Bellevue as a destination in-market to these regions. Our team plans on immersing these new markets in unique Bellevue/ Pacific Northwest experiences. Our Convention Sales team will travel to Washington D.C., Chicago, and Dallas in 2019. Additionally, Visit Bellevue has invested in two new lead generation services, R+G and Knowland. Our team is in early stages with these systems, but the software will lead development services and encourage more business by prospecting new leads from around the country. Visit Bellevue will establish new initiatives to improve visitors’ in-market experience over the next few years, including the Certified Tourism Ambassador (CTA) Program, Bellevue Host Volunteer Program and new visitor focused program deployment. In addition, a city-wide survey tool will be implemented as a means of measuring visitor experience. In 2019, we will implement the Certified Tourism Ambassador (CTA) program, an industry-recognized certification program, that helps destination workers and volunteers with providing new visitors with the best possible experience. 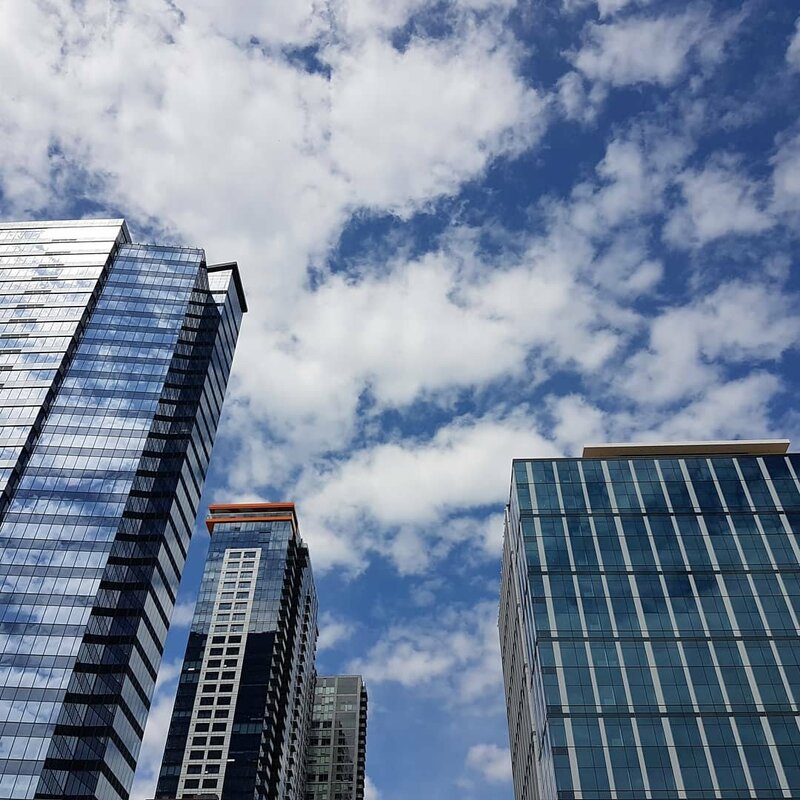 The CTA program includes comprehensive training for the ambassadors, including resources and guides about the city, an educational tour of Bellevue and its highlights, a classroom learning experience as well as an exam following the class. Visit Bellevue will then provide updates and create networking and educational events for these accredited ambassadors. This program will assist the industry in staying better informed, having a game plan and providing easier access to networking events. Additionally, over the next few years, Visit Bellevue will develop the Bellevue Host Volunteer Program, a network of volunteers who assist tourists by welcoming them to events or by answering questions in major attractions throughout the city. This program, along with the creation of a visitor information center or SMS system, will help us communicate with visitors once in-market. Visit Bellevue is going through incredible changes and will make great progress this year. Our team is working hard to stimulate economic growth and development by increasing visitor and convention business and inspiring memorable visitor experiences. Cheers to a new year, full of exciting new opportunities! “Economic impact” refers to the full economic effect a visitor has on its destination, including impacts on the destination’s jobs, wages, GDP and taxes. This figure also includes the additional commerce that workers in the hospitality sector spur into the local economy. Next Next post: Galentine’s Day: Bring Your Bestie to Bellevue!